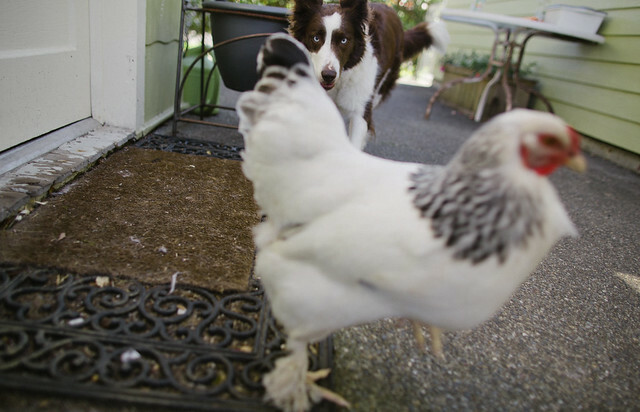 Border Collie Herding Instincts at Play — Paolo M. Mottola Jr. 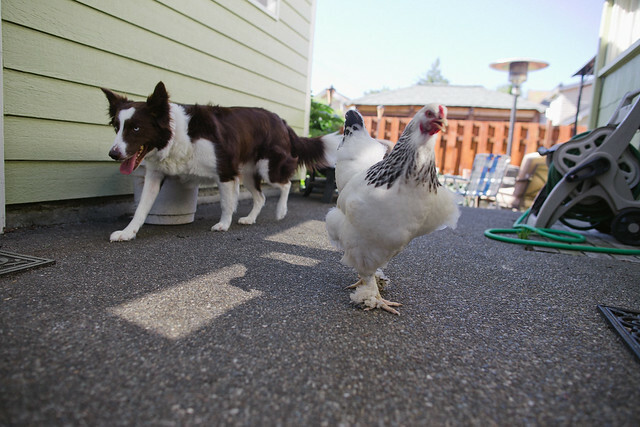 When we first got our chickens Bianca and Nera, we weren't sure how our border collie Gianna would react. 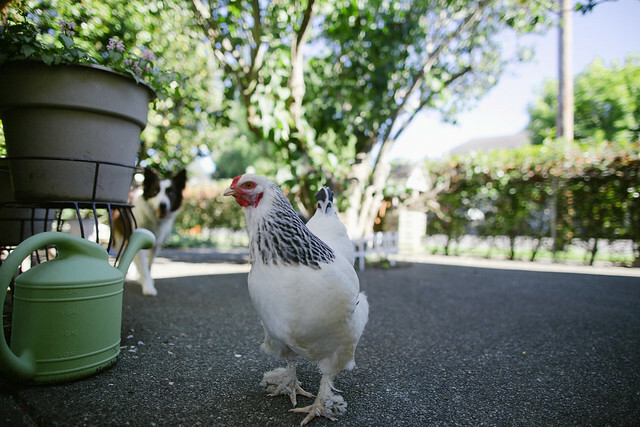 She was certainly interested in chasing them, but we didn't know if she wanted to kill the chickens or herd them. Fortunately, it's been the latter. 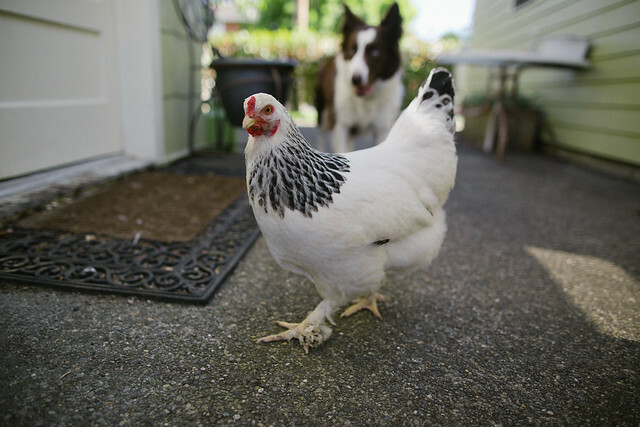 We slowly introduced them and gave Gianna more and more freedom around them. 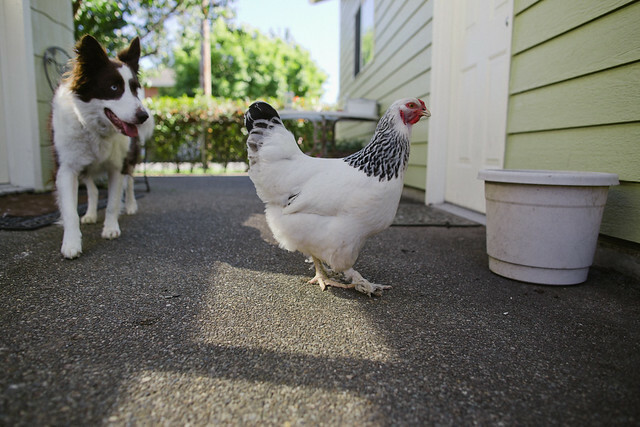 Now they coexist in the yard without supervision, and we can command Gianna to herd the chickens in the coop. Sometimes the dog herds on her own when she's bored, too. 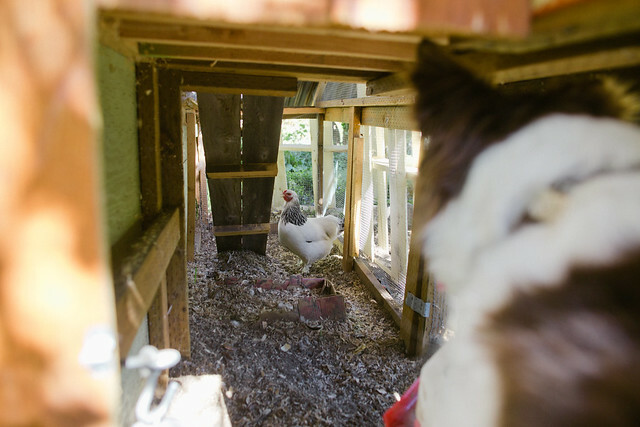 Nera has been broody these past few weeks, so Bianca has been out of the coop solo. I snapped some photos of the usual herding dance between Bianca and Gianna.